In a large saucepan, heat oil to 360 to 375 degrees F.
Peel potatoes and slice paper-thin using a mandolin. 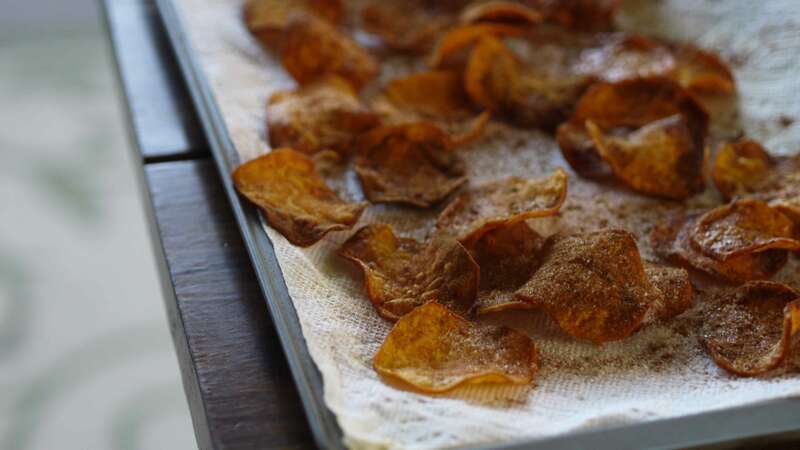 Using a skimmer, remove chips from pan and drain on paper towels. In between batches, allow the oil to heat back up to 360 to 375 degrees. In a separate bowl, combine sugar, cinnamon, and salt. Sprinkle seasoning over sweet potato bites before serving.